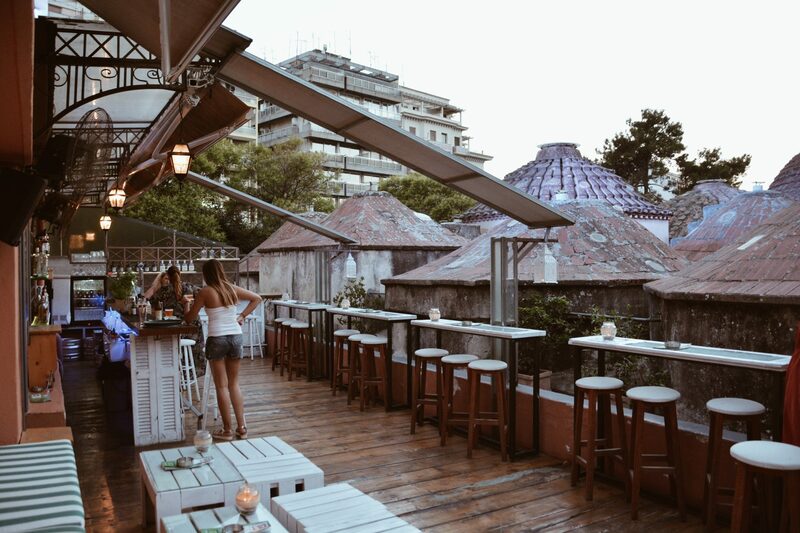 Temperatures are rising and that can only mean one thing for summers in the city to beat the heat: rooftop bars! 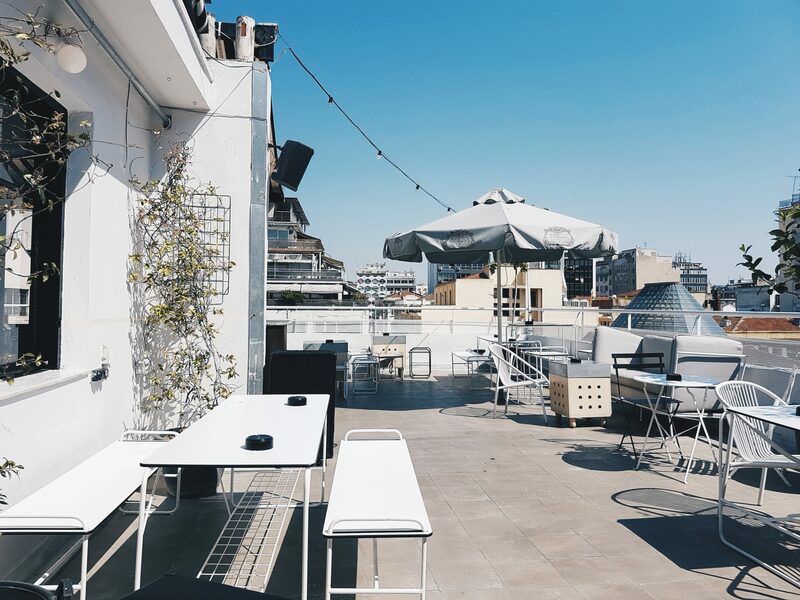 Rooftop bars are popping up throughout the city and we’re not complaining about it! 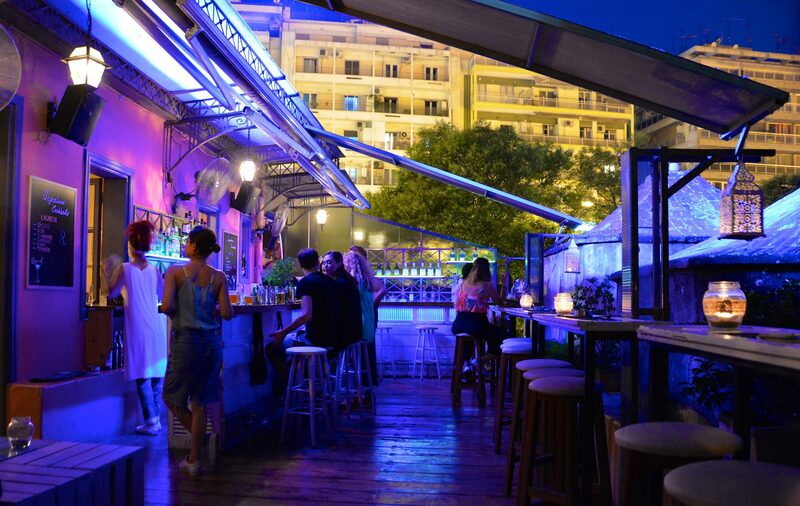 They are an alternative way to spend those long summer nights amidst the sparkling starry sky. 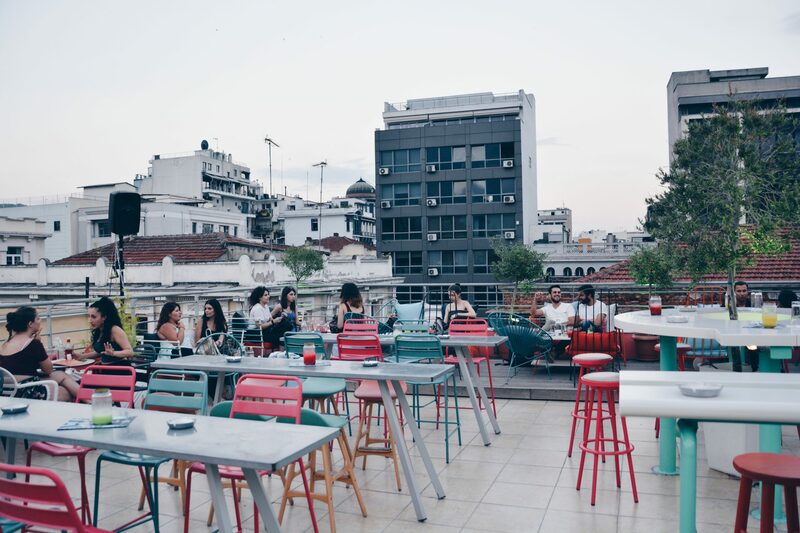 Rooftop bars in Thessaloniki can be found in the most unexpected places, whether that be on the top of 5 star hotels or abandoned buildings, each rooftop bar in this city has its own character and flair. 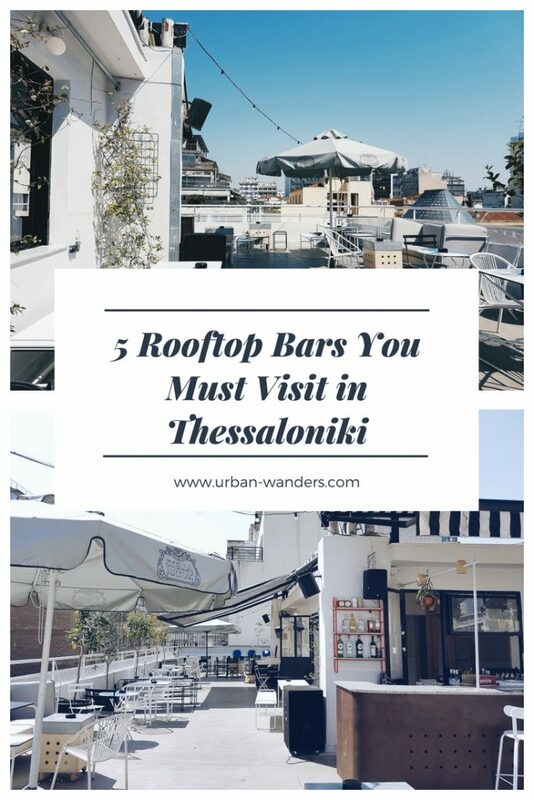 The best part of it all is that these rooftop bars are all walking distance from each other perfect for bar hopping from roof to roof. 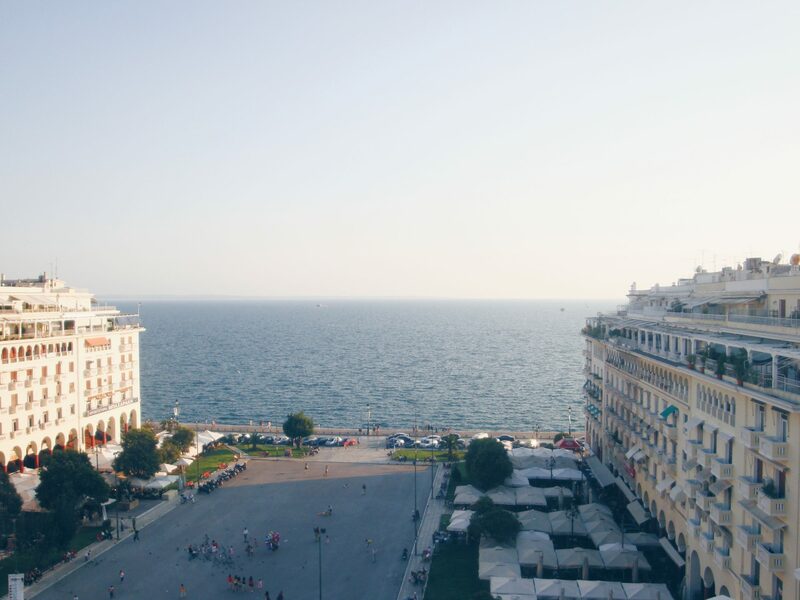 So grab your friends and make these cool summer nights in Thessaloniki ones you’ll remember! 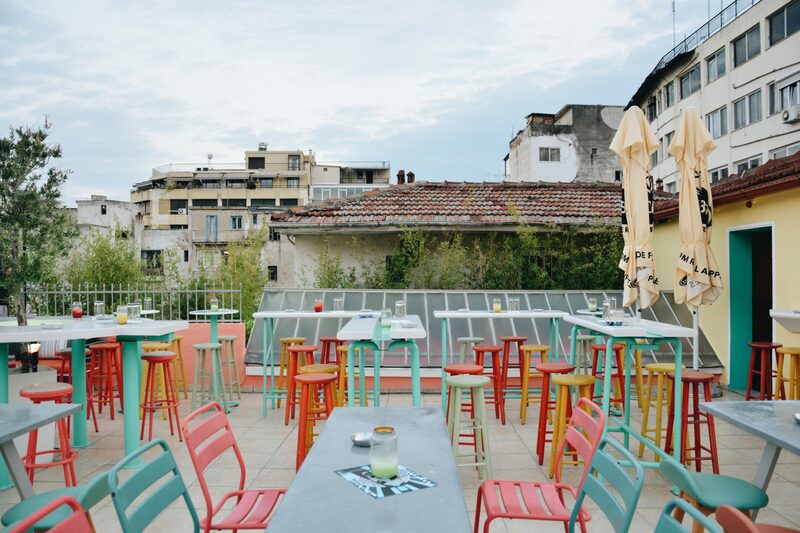 Tucked within the streets of Valaoritou, Fragile is one of the most well-known rooftop bars in Thessaloniki. 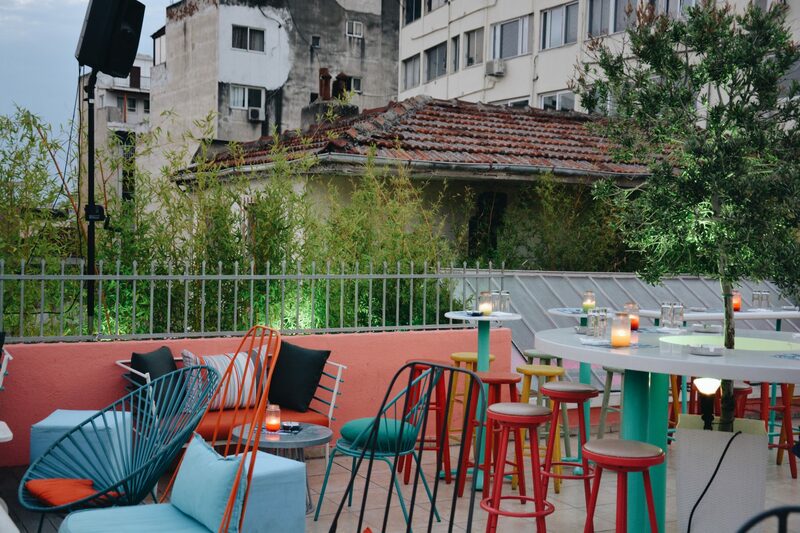 Characterized by its white and minimal décor, Fragile is a laidback yet vibrate bar. 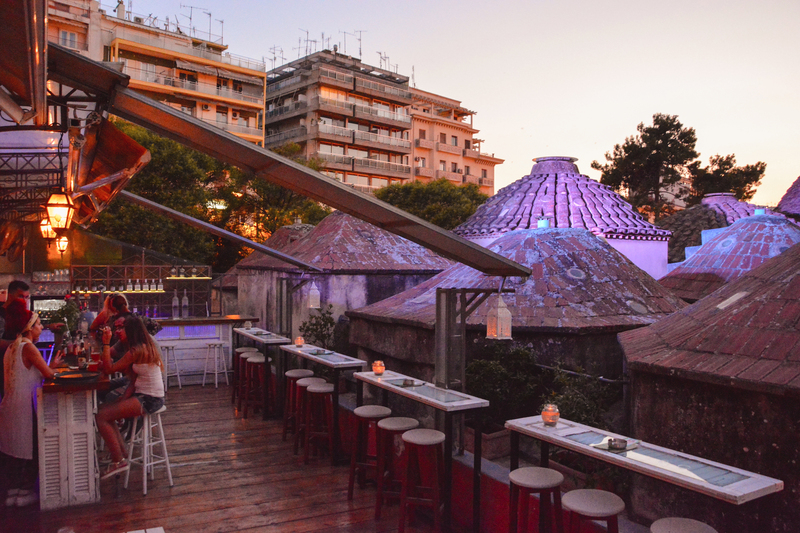 Their unique cocktails and eclectic music only make this rooftop bar an even more “must” this summer. 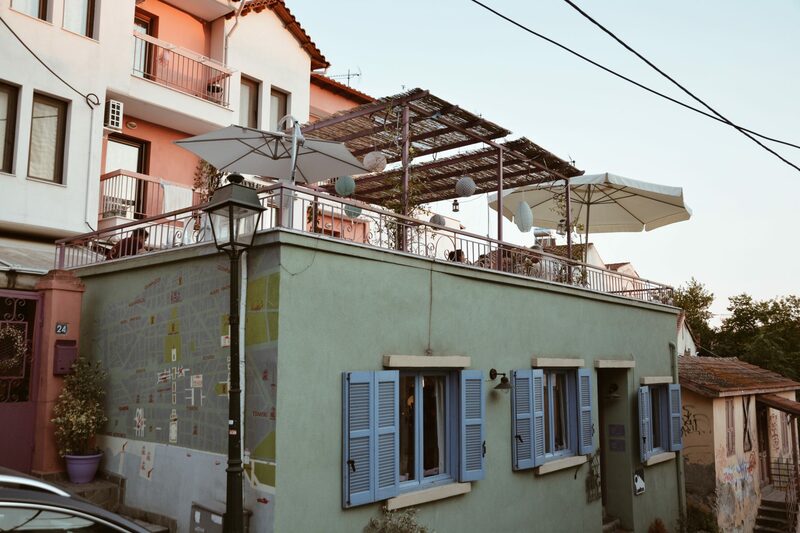 Be sure to also check out the vintage movies they project against one the neighboring walls. 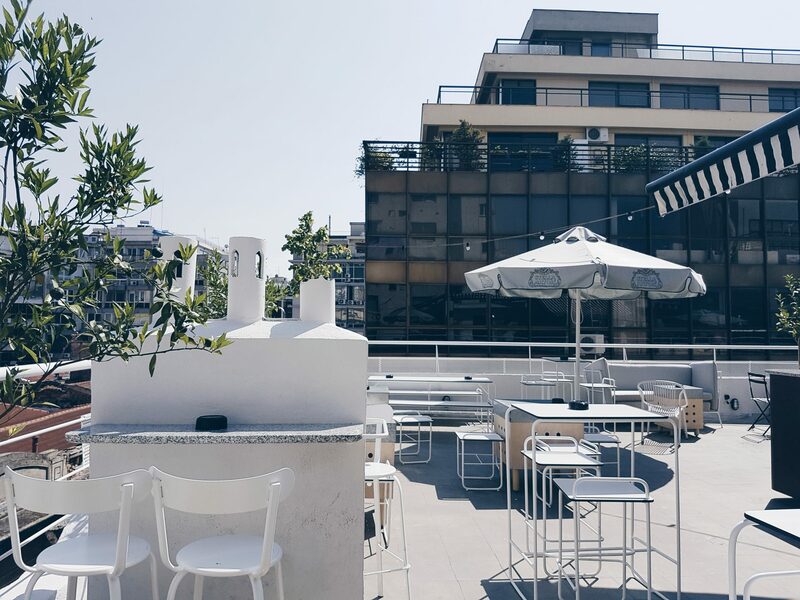 Just a hop, skip and jump away from Fragile, you will stumble across Urania, a laidback and chill rooftop bar. 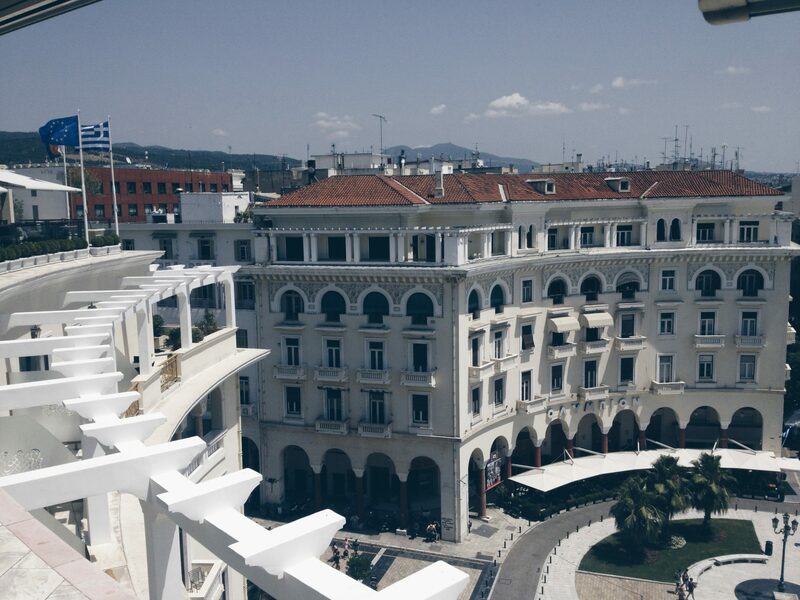 Urania, situated on top of a neoclassical building, is also found in the Valaoritou district. 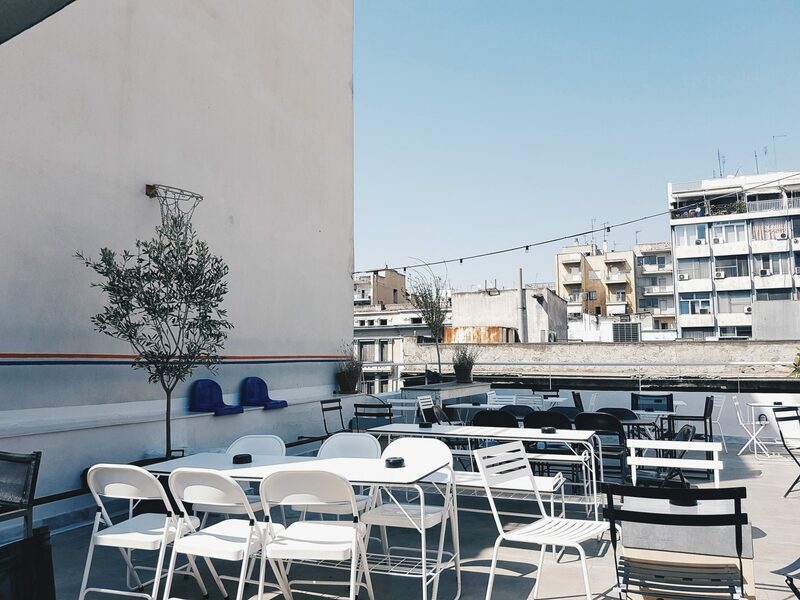 Urania is a refreshing change from the loud and busy bars found in this city. 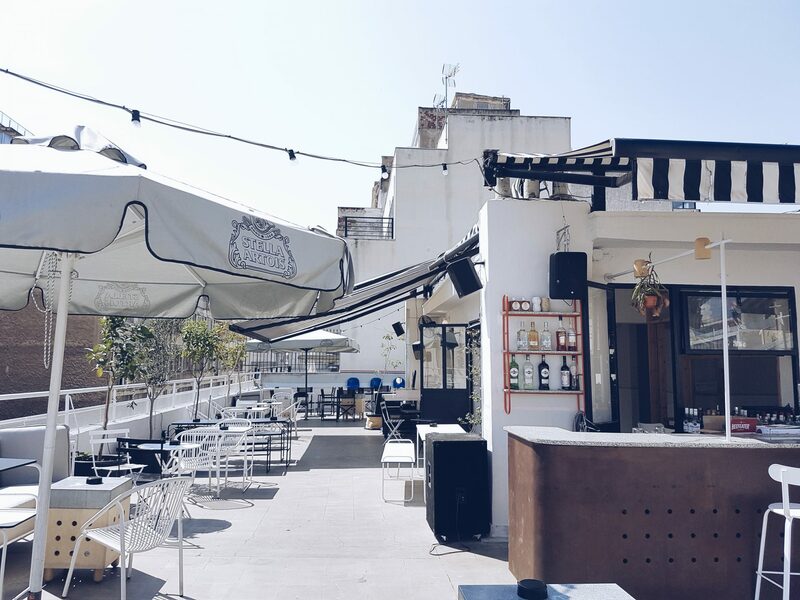 This is the place to go for a quite drink with a loved one or with your friends. 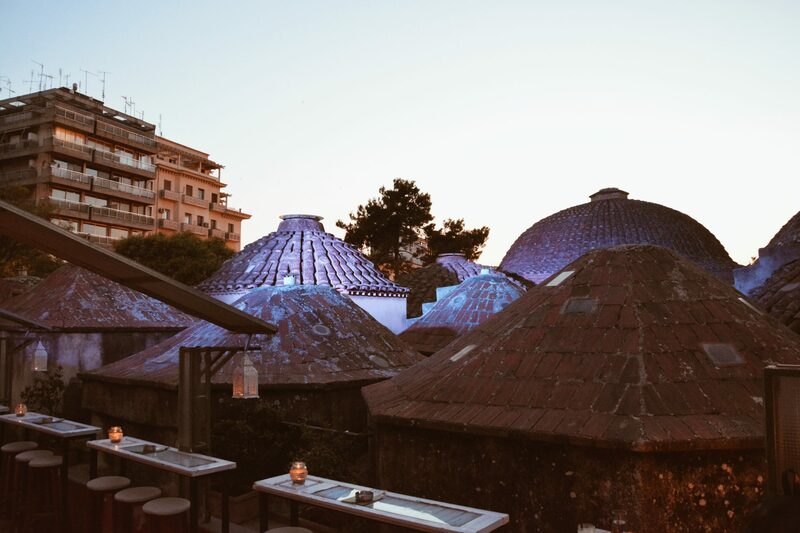 A modern twist to ancient Turkish baths, To Palio Hamam is a hidden gem located right off of Egnatia Street. 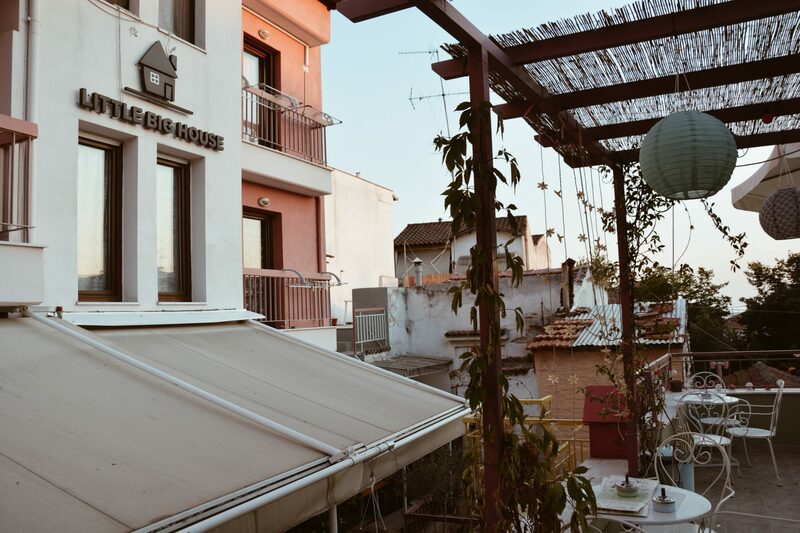 To Palio Hamam, meaning the “Old Hamam” was part of Bey Hamam, Turkish baths that date back to the Ottoman era. 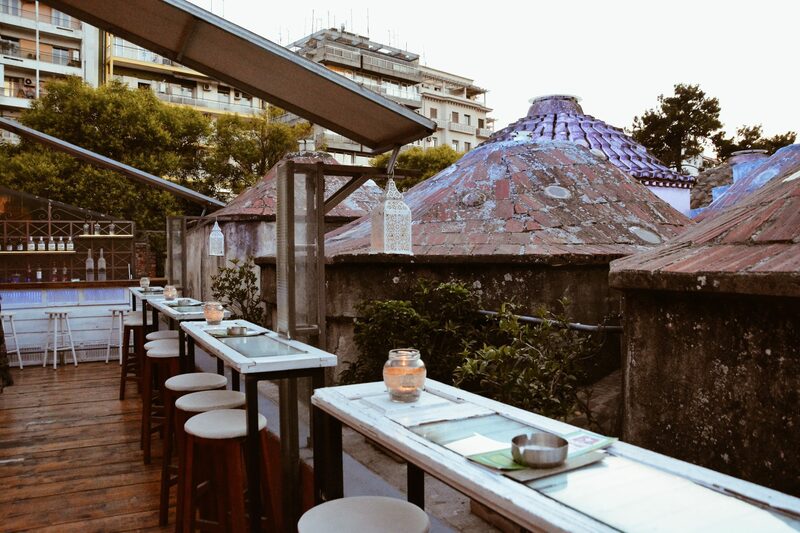 By winter it is a cozy spot for drinking your hot coffee, by summer it is a enchanted rooftop bar, with a captivating view of the old Turkish “Hamam” and its lit up domes. 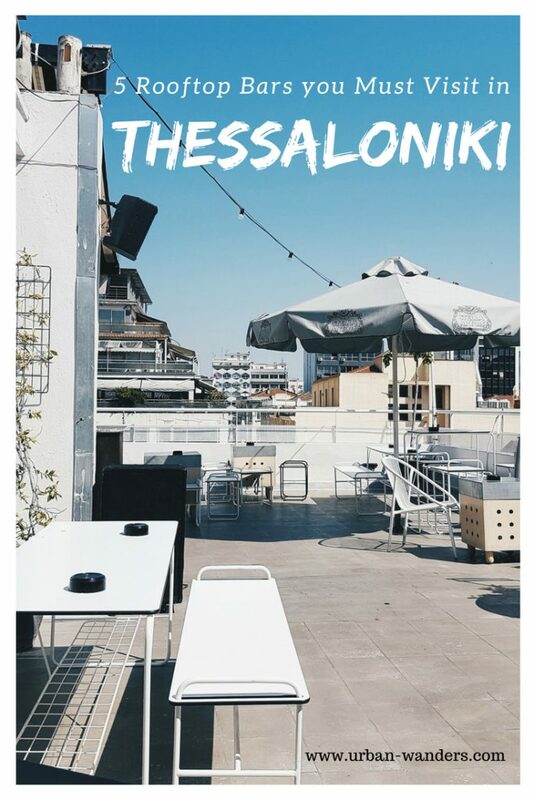 Check out this rooftop bar in Thessaloniki when those hot summer nights kick in. 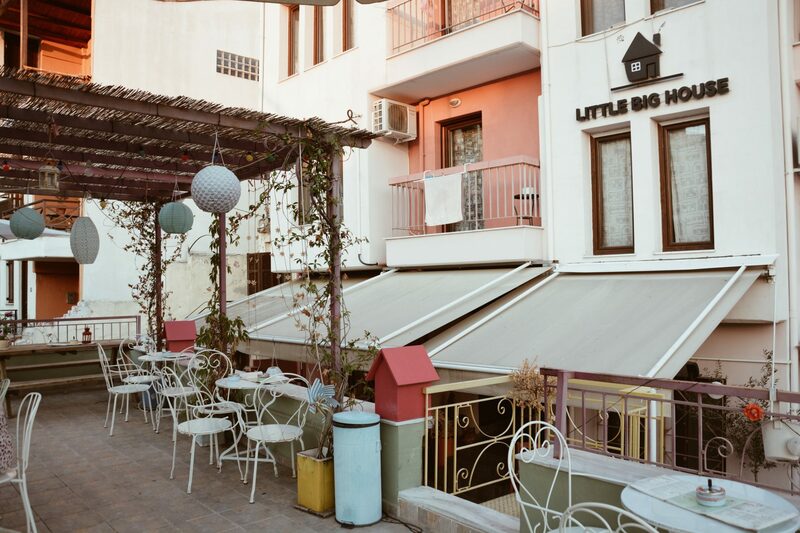 Believe it or not, Little Big House used to be an abandoned refugee house until 2011 where a brother and sister teamed up to transform it into a modern guesthouse. 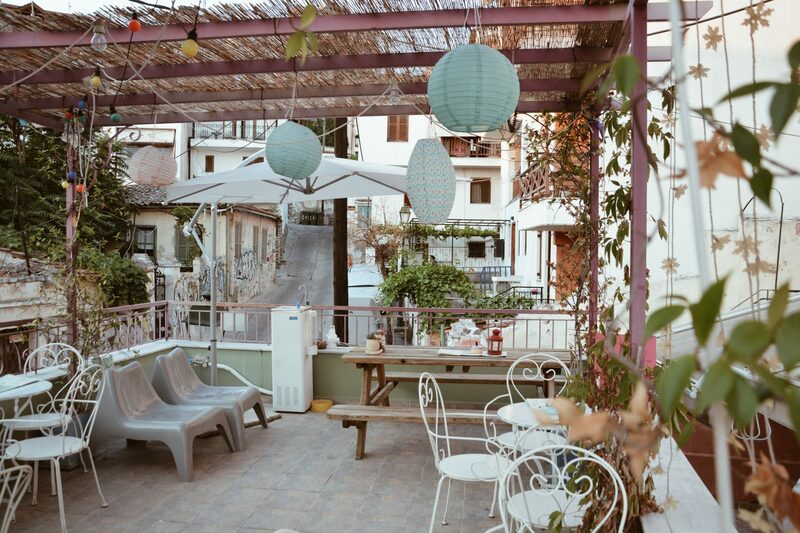 This picturesque and quaint guesthouse is straight out of a Pinterest board: homemade pies and lemonades, cozy little corners for reading, colorful string pennants, and dangling lanterns create the utmost homely environment. 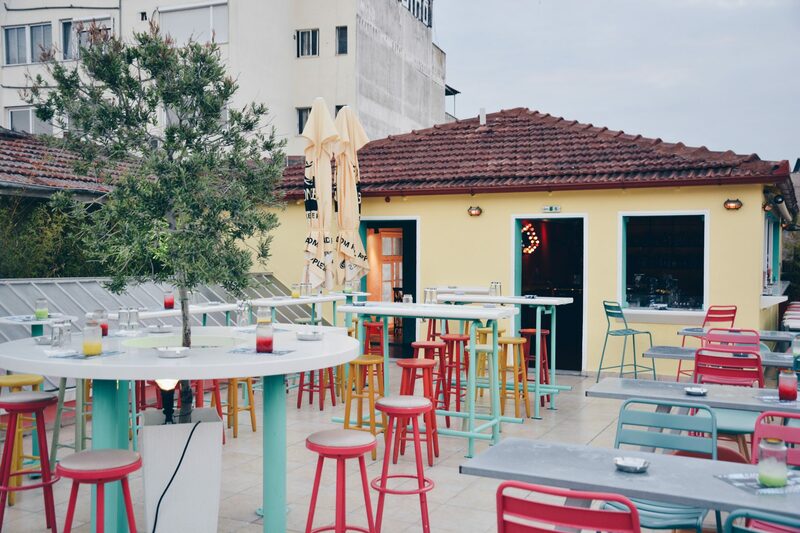 Their rooftop terrace is the ultimate summer hangout spot that shouldn’t be missed! 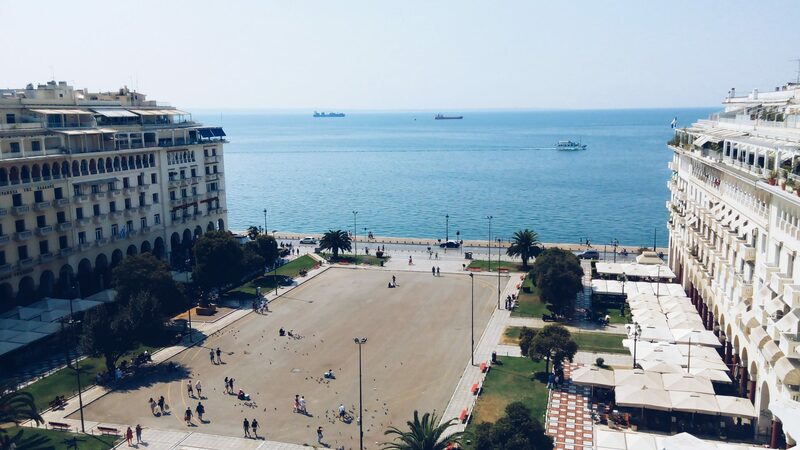 We can’t create a list of rooftop bars in Thessaloniki without an honorable mention of Electra Palace’s rooftop bar. 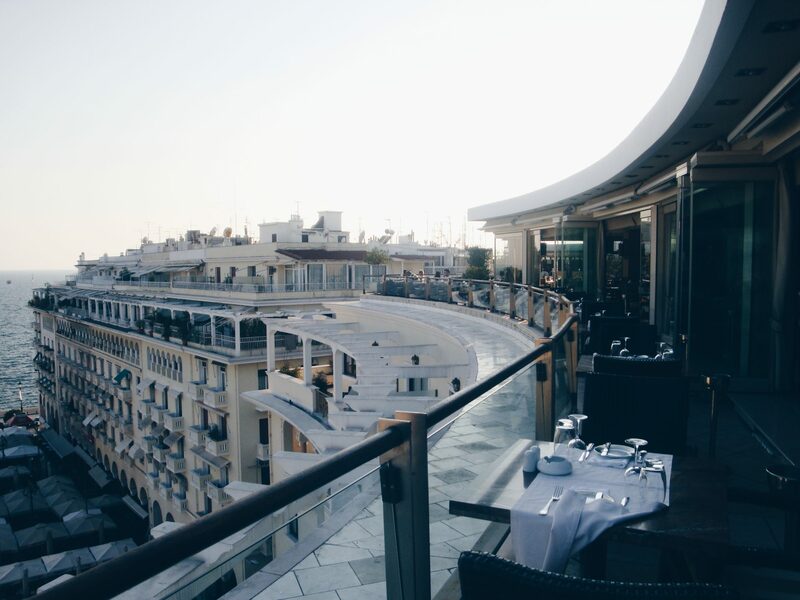 Electra Palace’s Orizontes Roof Garden bar is a classic; panoramic view of Aristotelous Square check, lavish décor check, gourmet food and refreshing drinks, check and check!